It was six years since the great band Sads had broken up, but that dark time is over now and the band is finally back together! SADS is an intriguing band with all the qualities of both a major label and an underground band, SADS had built a solid reputation as a true Japanese “rock band” –one that could make world-class rock music without forgetting their Japanese roots. It’s too bad that in their heyday, their home country of Japan never really fully recognized their mark on its rock history! Since beginning his solo career in October of 2003, Kiyoharu–who has continued to search for his true identity through all kinds of spiritual and musical endeavors–never spoke about what he had tried to accomplish with his band SADS. But by reforming in 2010, the moment to speak seems to have come–and it will be in the form of new music. For the fans, it’s hard to believe that SADS, a band that was thought to be long gone, is active again. 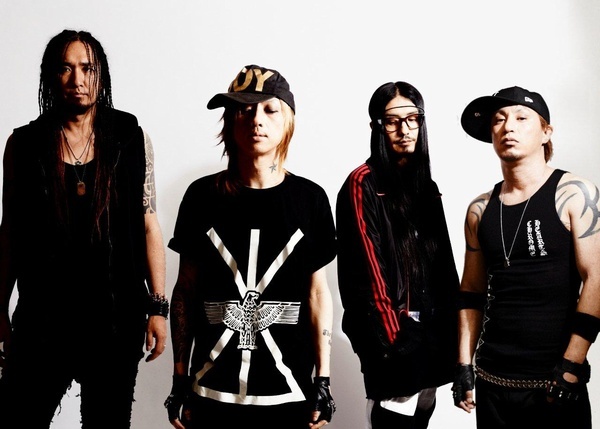 At the same time as reforming SADS, Kiyoharu announced the revival of his other band, “Kuroyume” and also that he would be continuing his solo work. To Kiyoharu, the word “reunion” meant nothing; all that mattered to him was that he continue his search for himself through his solo career while jump-starting two “new” projects in 2010–KUROYOME and Sads.